A native of the northwestern USA, Patti is from Seattle, Washington, hometown of Jimi Hendrix, Pearl Jam, Soundgarden and Ann and Nancy Wilson of Heart. Ray Charles and Quincy Jones also have early ties to Seattle, truly a city teeming with influential music. Patti discovered her voice when she was in her early teens. People noticed and encouraged her to perform, and by the time she was 19 she was part of an acoustic duo performing at bars and local restaurants. In 1992, she started a classic rock band called Black Velvet, which played at numerous Northwest hot spots including The Brick Tavern from TV's Northern Exposure. 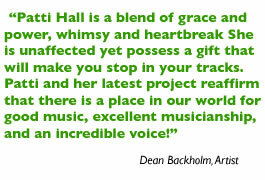 In 1994, she went back to her acoustic roots and teamed with good friend Dean Backholm to form Backholm- Hall. Not your typical lounge act, they interpreted music from Linda Rondstat, The Eagles, and Loggins & Messina to Shawn Colvin, The Indigo Girls, Melissa Ethridge and contemporary country. They drew standing-room only crowds at trendy resorts. Dean went on to release a solo project in 2005 that included his hit song "What, Me Worry?" which earned a spot in the Top 20 US national charts. In 2002, Patti sent a demo package to Nashville. 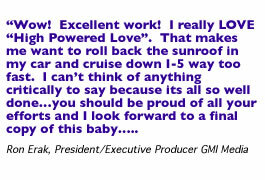 They loved what they heard and encouraged her to come work on some songs that would appeal to major record labels. Teamed The Artist Development Group and well-known drummer and producer David Lyndon Huff (Giant), she completed a four-song demo that received rave reviews. Three of the songs were released as the EP "Sooner or Later" on Patti's independent label, Kelsey Creek Record Company. Two of the songs, "Settle Down Cinderella" and "Waitin' on a Train" were played on popular Seattle radio stations, and the city's most listened-to morning drive radio personality interviewed Patti and touted her music. National airplay for "Settle Down Cinderella" came the same year on the nationally syndicated "Radio Lia" show, including a live, on-air interview. Lia loved the song, and so did her audience. Patti's first full length CD, "Never Ask Why," includes "Settle Down Cinderella" and "Waitin' on a Train," along with ten cover songs recorded in Seattle at Audio Logic Studios and produced by Jay Kenney, who also plays keyboards on several songs, the sessions feature Ben Smith (Heart) on drums, Keith Lowe (Fiona Apple) on bass, Billy Bertman on acoustic guitars, and Nashville's versatile David Cleveland on electric and acoustic guitars, mandolin, dobro, and even banjo. She called on close friend, Dean Backholm to help her with background vocals. If "Sooner or Later" is for the radio, "Never Ask Why" is for the soul. It includes some kickin', toe tappin' songs, but also many songs that tell a story. Drawing from a few of her favorite songwriters like John Hiatt, Neil Young, Patty Griffin and John Prine, Patti's latest CD includes something for everybody: songs about love, songs about loss, one about a poor rich girl and even an old cowboy classic that will appeal to fellow horse-lovers. Track 10, "This Love is Real," a duet with her husband Mark, is a song that makes you feel lucky to be in love, or inspires you to want to start looking for it. Patti's voice, described as being "like velvet" and a beautiful contrast of subtlety and power all at the same time shines through on Sooner or Later and Never Ask Why. 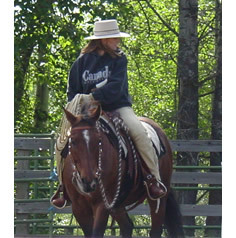 Site Designed and Hosted by Eclectic-Horseman Communications, Inc.